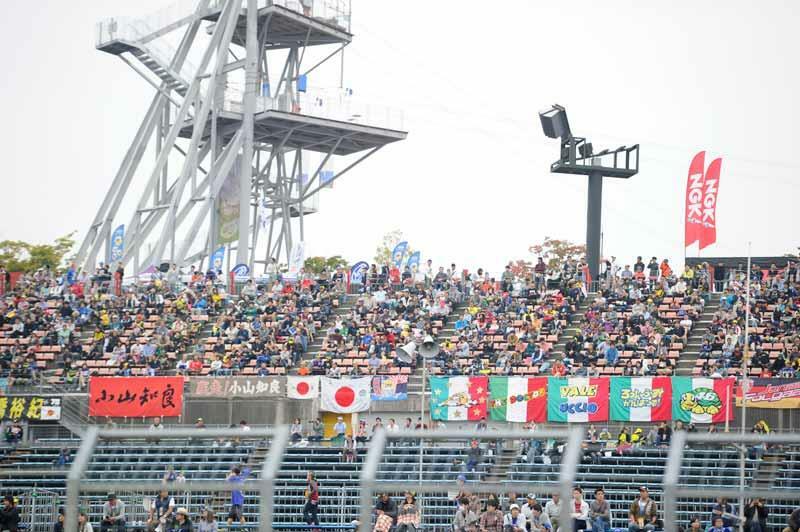 The MotoGP race should still take place on time at 14.00 local time but the rest of today's schedule has been thrown into disarray by bad weather and poor visibility at Motegi. Both Moto2 and Moto3 races will be reduced in distance while the premier class race will still be 24 laps. The Moto3 race will start at 12.05 Japanese time and will be of 13 laps duration while the Moto2 race will start at 13.00 and be 15 laps. The delay was caused by a lack of visibility that made it impossible for the medical helicopter to take off but following discussions with the Medical Director and Chief Medical Officer a decision was made to allow racing to continue without the facility to airlift riders to a local hospital in case of serious injuries. "The Medical Director and the Chief Medical Officer have discussed the situation, taking into account the significantly improved Medical Centre facilities and updated Ambulances compared to previous years," read the statement. "Together with the cooperation of the local and International Medical teams, and the cooperation obtained from the local Police force to facilitate transport, the option of road transport for injured riders has improved sufficiently to be a safe and viable option. Road transport to the nearest approved hospital would take no more than 50 minutes. "Under these conditions, the Medical Director and the Chief Medical Officer have informed Race Direction that it is possible to proceed with the event. The decision of the Medical Director and Chief Medical Officer is approved and endorsed by the FIM Grand Prix Permanent Bureau."